"No one was tested the way she was," explained TIME's managing editor Nancy Gibbs during the reveal on NBC's Today show. Gibbs cited Merkel's work in handling the European economic and refugee crises, as well as her actions in the wake of the Paris terrorist attacks. "Over and over again the threat to European security really fell to her," Gibbs said. Merkel beat out a shortlist that, along with Trump and ISIS leader Abu Baker Al-Baghdadi, included the Black Lives Matters Activists, Iranian President Hassan Rouhani, Uber CEO Travis Kalanick and Caitlyn Jenner. Matt Lauer asked Gibbs if it would have been impossible to name Al-Baghdadi as its Person of the Year, considering the deadly attacks his terrorist organization has carried out. "Nothing's impossible. We have named great villains in the past," said Gibbs, referencing Adolf Hitler being named in 1938. "[Al-Baghdadi] did not invent Middle East anarchy," she added. As for not naming Republican presidential frontrunner Trump, who's made headlines ever since he entered the race, Gibbs noted they have never in the history of the cover named an active candidate as Person of the Year. "If he thinks he deserves it, he has the whole next year to let the voters decide that," said Gibbs on Trump's potential for being named 2016 Person of the Year. Naturally, Trump took to Twitter to express his displeasure. 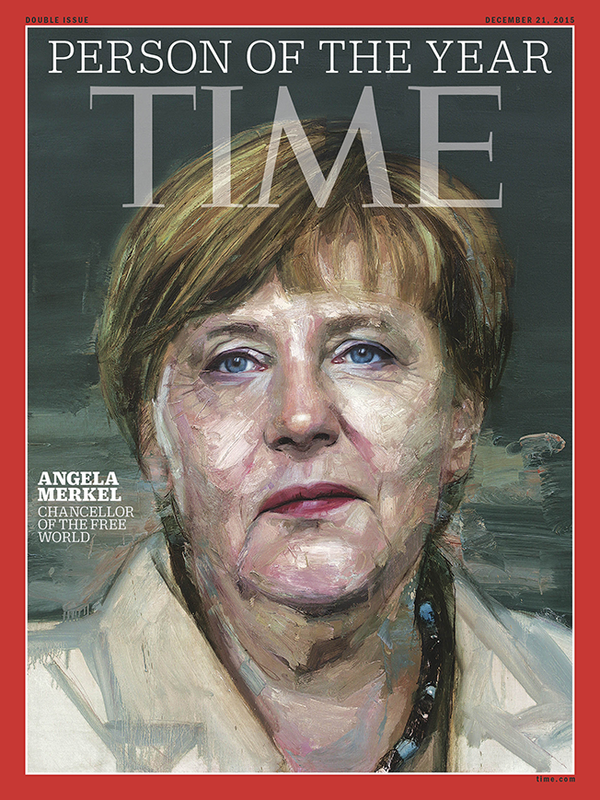 Merkel becomes just the fourth woman to have a solo cover for TIME's annual honor and the first since former Philippines President Corazon Aquino in 1986. Queen Elizabeth II and Wallis Warfield Simpson were the other two. "This year, [Merkel] really was tested in how she would respond to some of the most difficult challenges that any leader is facing in the world," said Gibbs.